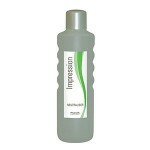 Impression Tinted is a permanent setting lotion that has been specifically designed for use on tinted hair. This unique design allows you to create gorgeous curls on tinted hair for a beautiful and long lasting result. This pack contains 1 litre of Impression Perm Lotion Tinted and Impression Neutraliser and allows for 10-15 applications and is a colour friendly perming procedure. Impression is also available for normal hair or non coloured hair. Impression delivers true to rod size results, whatever the degree of wave or curl desired. 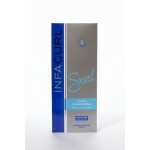 Product Tips For optimum results pre-damp with Infatreat Leave-In treatment to equalize porosity ensuring long lasting even curls.